We have experience with the best technolgies and the most advanced systems in order to guarantee a fast shipping and a reliable service. Our mission is to guarantee efficiency and speed so you can receive your purchase as soon as possible. Botteroski ships in Italy and in the whole world, in the cart you will find shipping times and cost for your region. Purchase usually are delivered to the courier within 2 days from the payment receiving and are shipped through the best national and international courier. Thank to a last generation platform and to a user-friendly system, you will be able to control the shipping tracking with just a click. From the delivering to the courier untill your home foot-step. When the purchase is given to the courier you will receive an e-mail with the name of the courier society and your package tracking code. This notice is given under 'art. 5 DLgs. N. 206/0' law: if the client is a consumer (which means a phisical person who purchase for his only interest and not for professional reasons, writing in the order a V.A.T. number), has the right to terminate the contract for any reason, with no penalties except the listed at point C.
To avail the termination right the client should firstly send a request e-mail to botteroski.com giving a motivation for the termination, the banc account number for the refund, copy of the order and of the invoice. Once accepted the return, the client will receive communication with the returning address and he/she will have to pay for the returning delivery. Returning shipping will not be accepted without our authorization. the purchase should be returned entirely and in all its part (included packaging, documents and accessorize: handbook, cables, etc...). To avoid damages to the original packaging it's mandatory to put it in a second box on which you should write the RMA code (return authorization) given from Bottero Ski srl. Do not stick on the original package sticker or tape. Returning shipping costs are carriage paid. 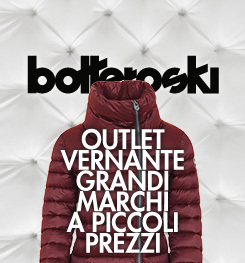 The client assumes responsabilities for the returning shipping, untill the package arrives to Bottero Ski store. 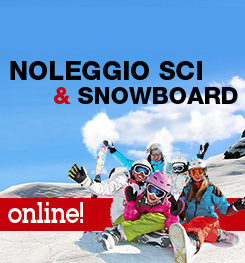 Bottero Ski srl will not be responsible of damaged, theft/loss products returned with no-insured shipping. Bottero Ski srl will fully refund the client within 14 days from receiving the returned goods through bank tranfer. In this case the client should promptly give his/her own bank account (ABI – CAB Code – same Current Account holder of the invoice). damage of the good for other reason of shipping. If the termination right get cancelled, Bottero Ski srl will return to the sender the purchased good, charging the shipping cost to the sender.